No, not XTS, XT5. And it’s a big deal for Cadillac, which is starving for a larger crossover SUV as that segment continues to grow and grow. 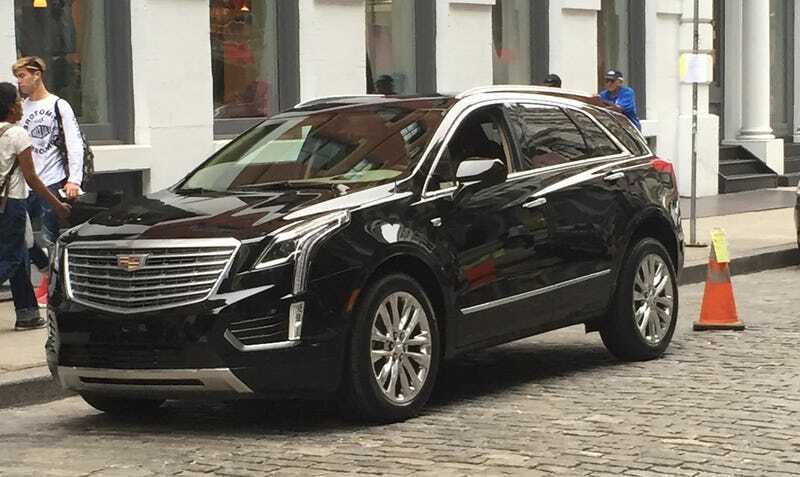 Opponaut saw390 caught the 2016 XT5 completely undisguised at a photo shoot in Manhattan this morning. What do we know about the XT5? Not a whole lot at the moment. GM Authority reported that it’s a replacement for the SRX and will use an all-new crossover platform with the familiar 3.6-liter V6, front- and all-wheel drive versions, and probably a hybrid variant. I think it’s a sharp-looking car, and one that’s definitely needed in Cadillac’s ongoing luxury war against the Germans. We look forward to seeing more from it soon. More photos from saw390 below.